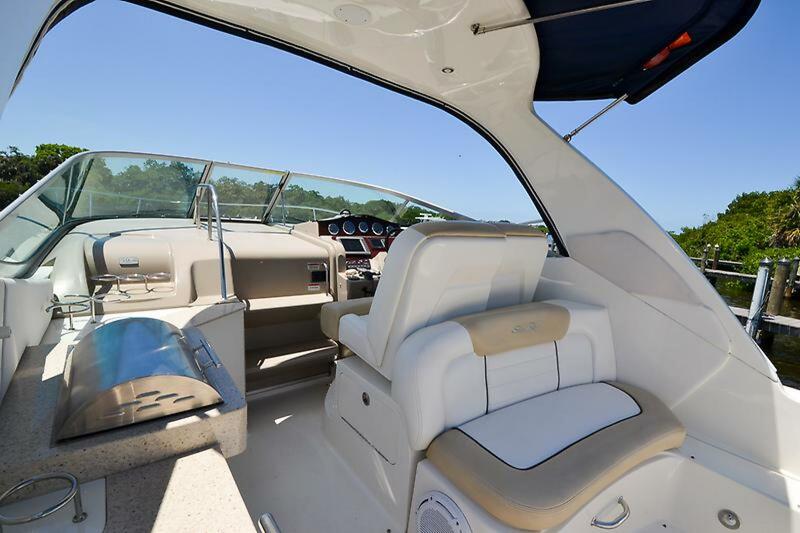 Among the many reasons why Sea Ray practically owns the market for high-end express cruisers, innovative styling probably ranks at the top of the list. 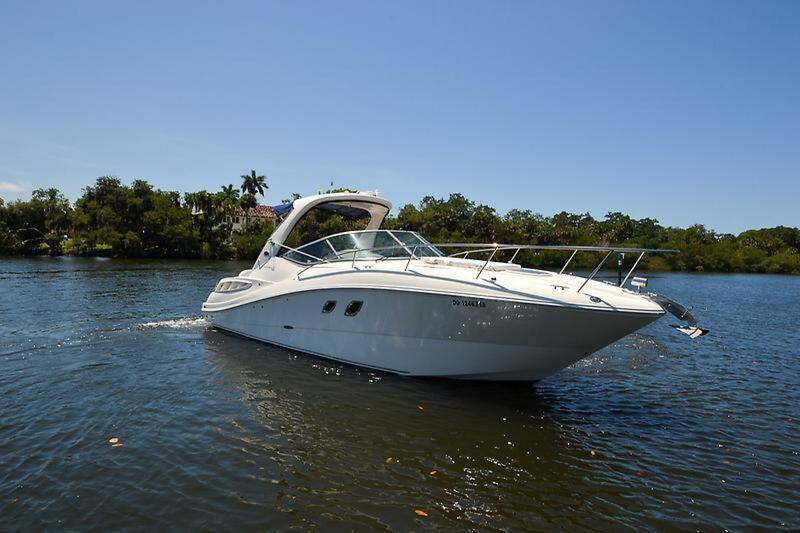 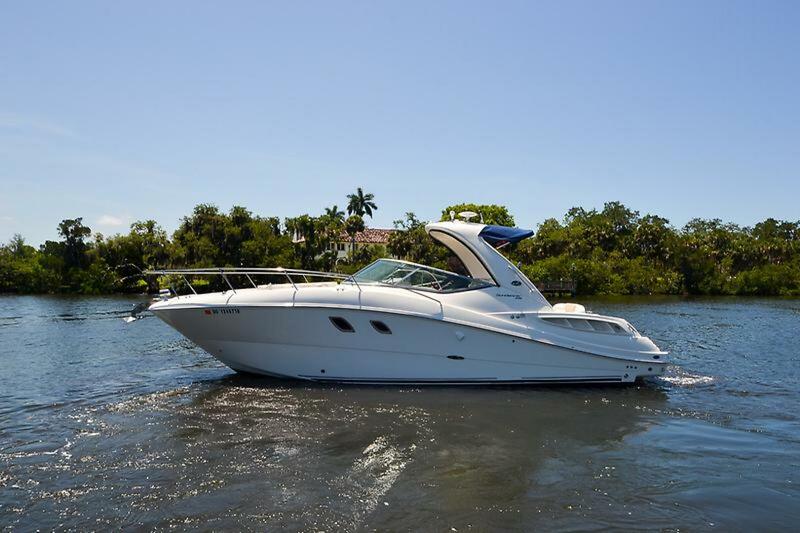 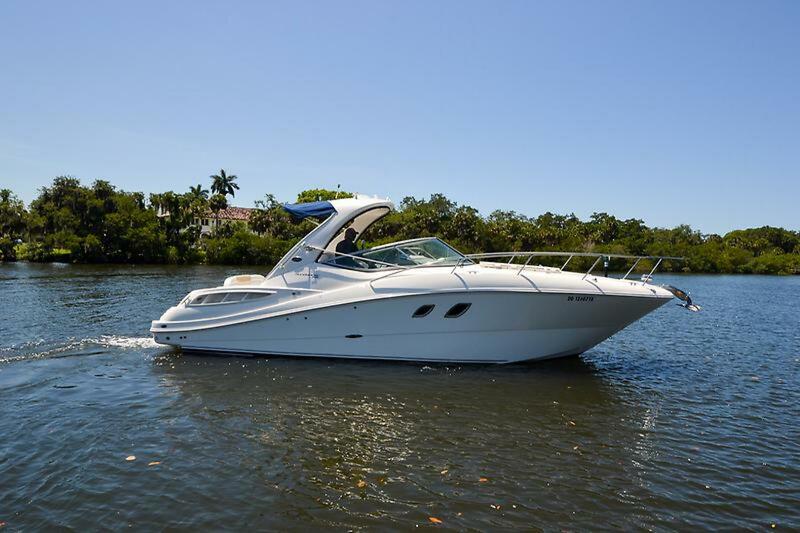 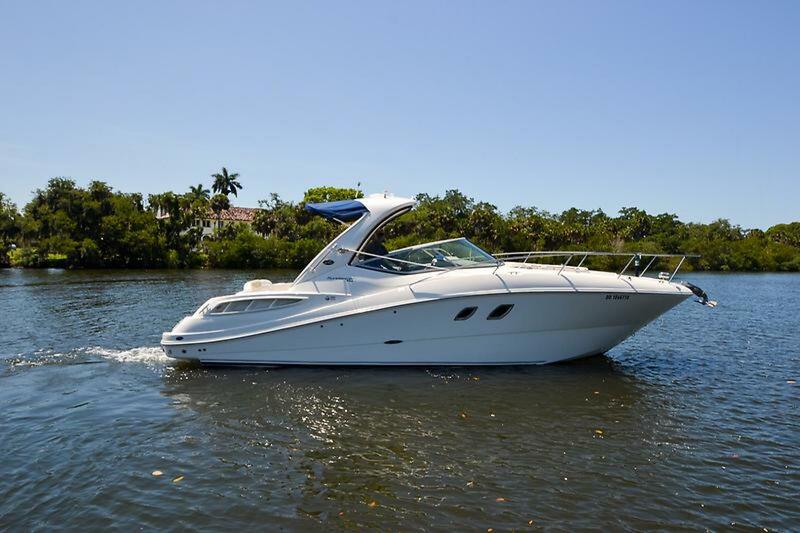 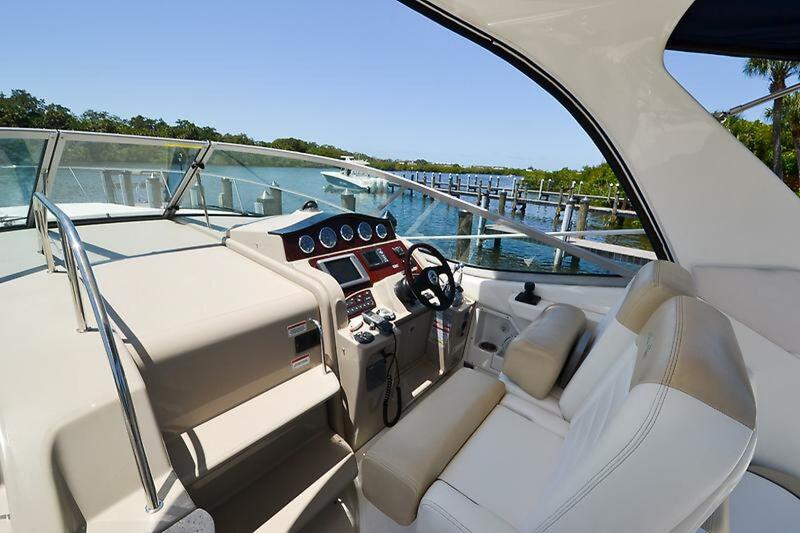 Indeed, the compelling lines of the Sea Ray 310/330 Sundancer are as good as it gets in a modern express yacht. 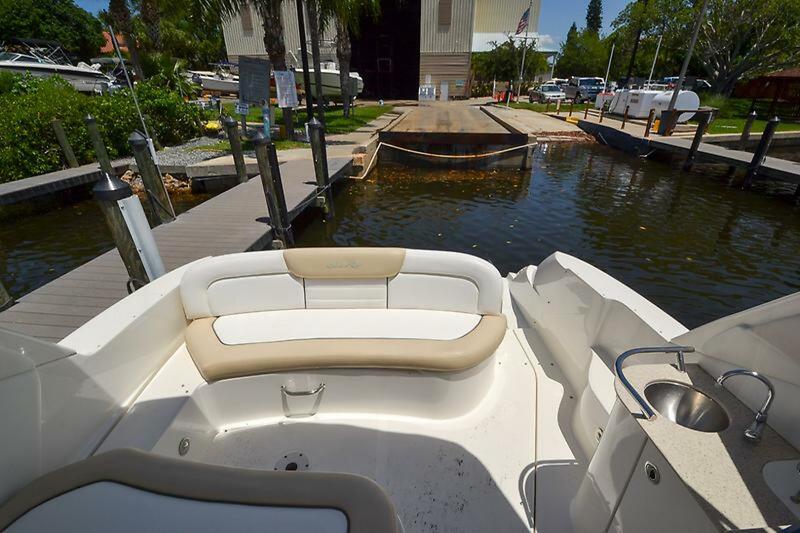 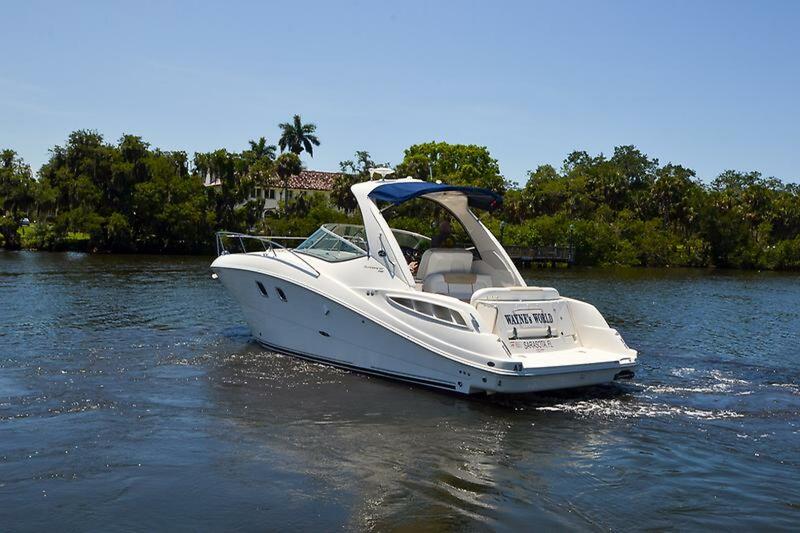 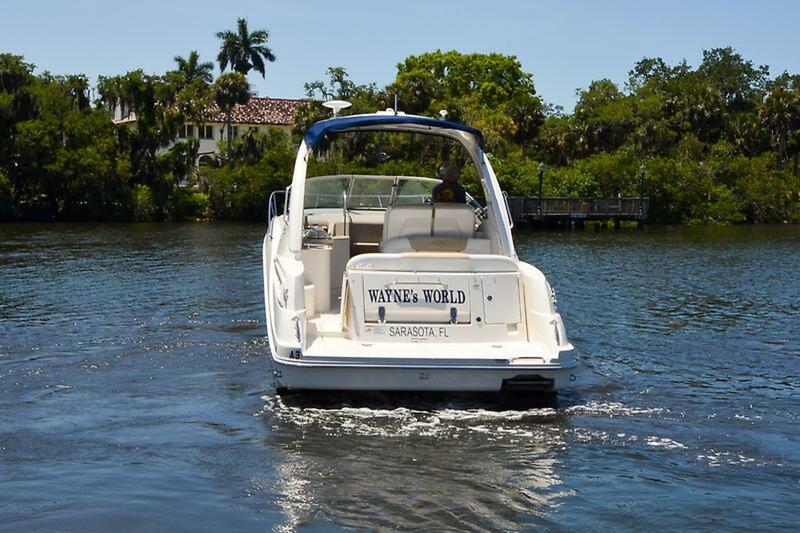 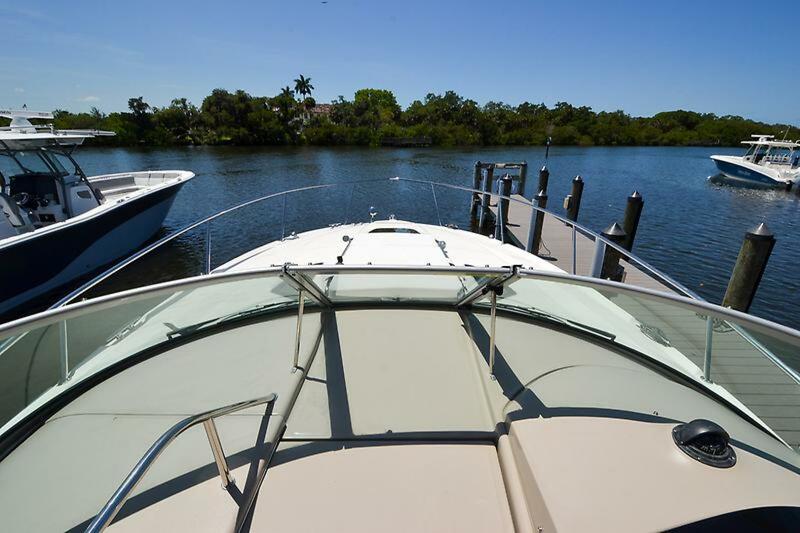 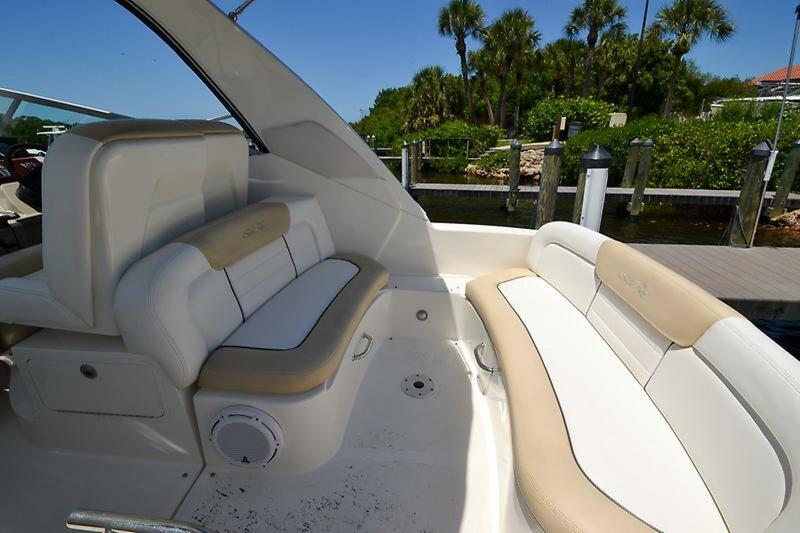 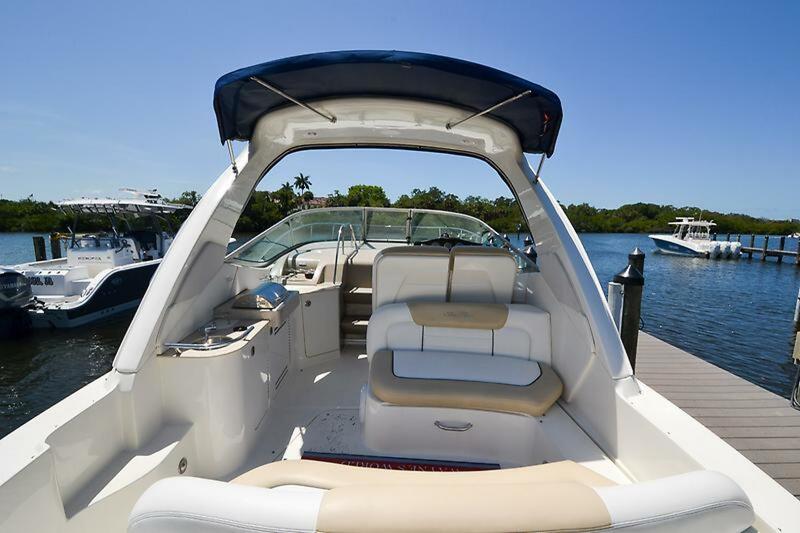 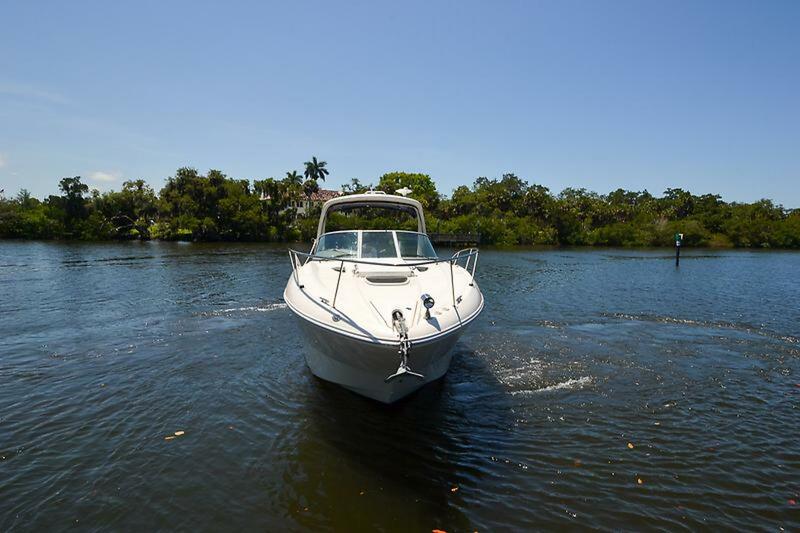 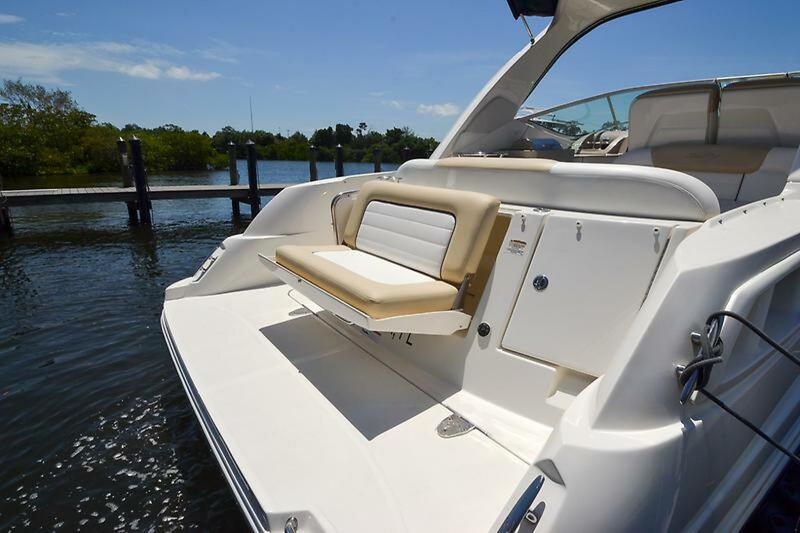 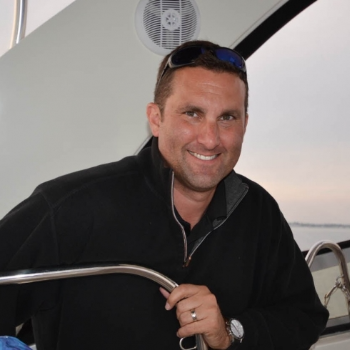 Like most Sundancer models, the 310 / 330 rides on a deep-V hull with moderate beam, and a solid fiberglass bottom. 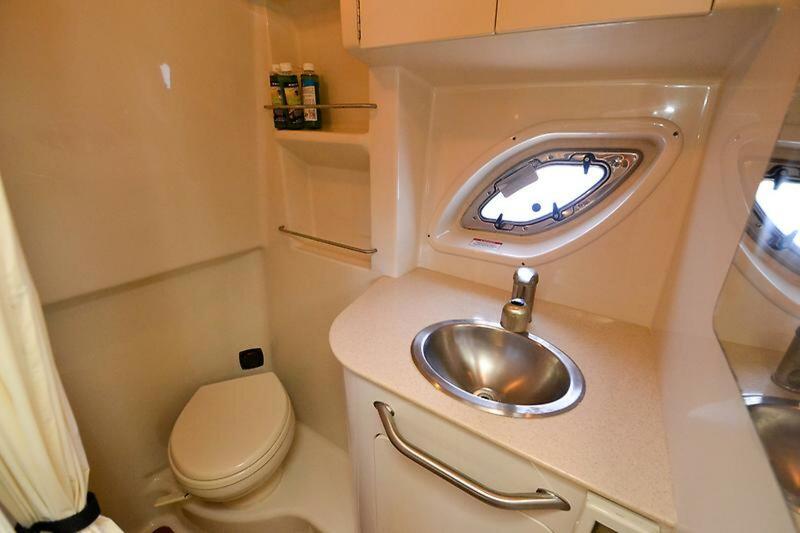 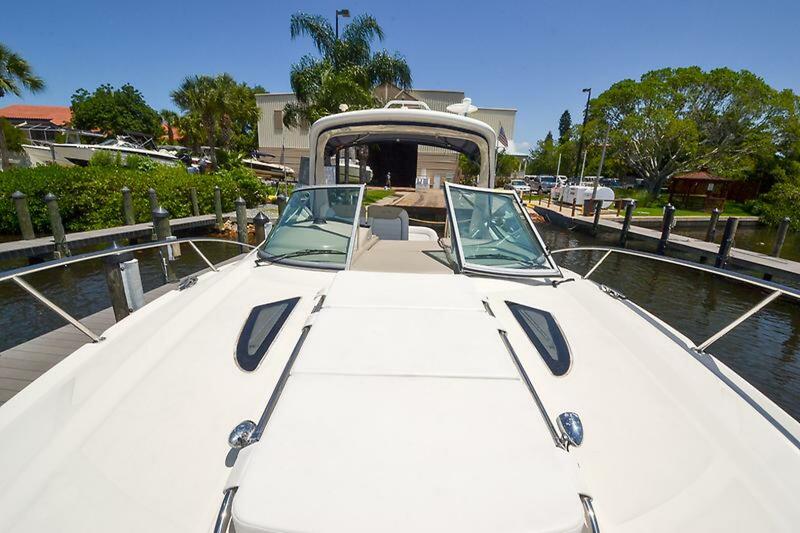 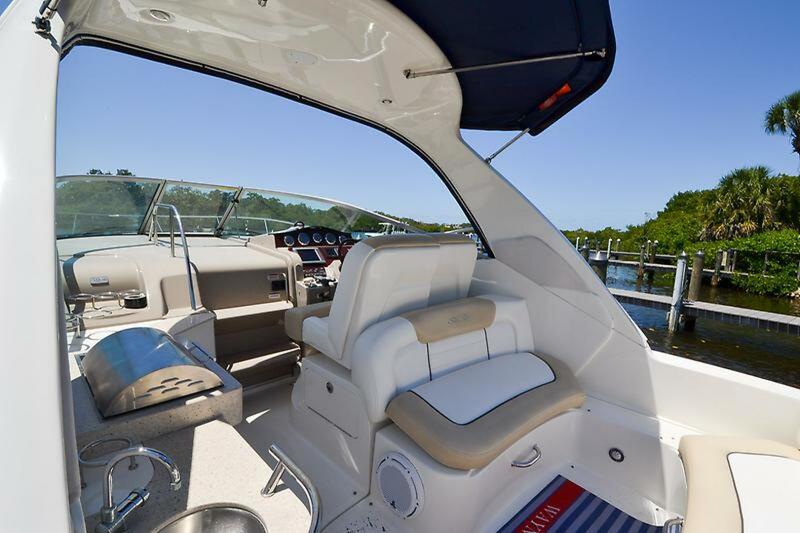 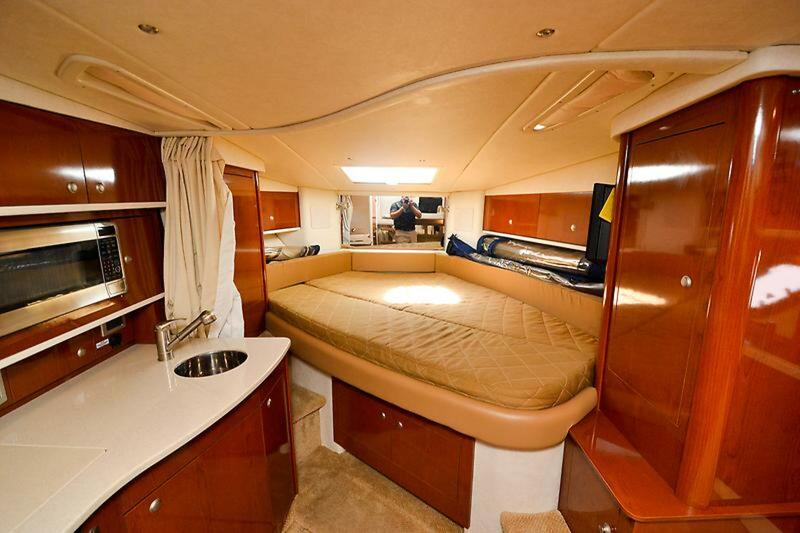 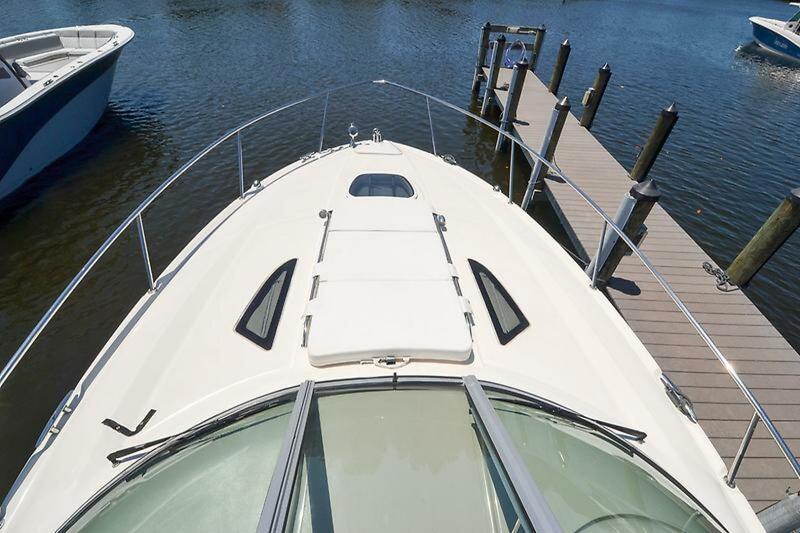 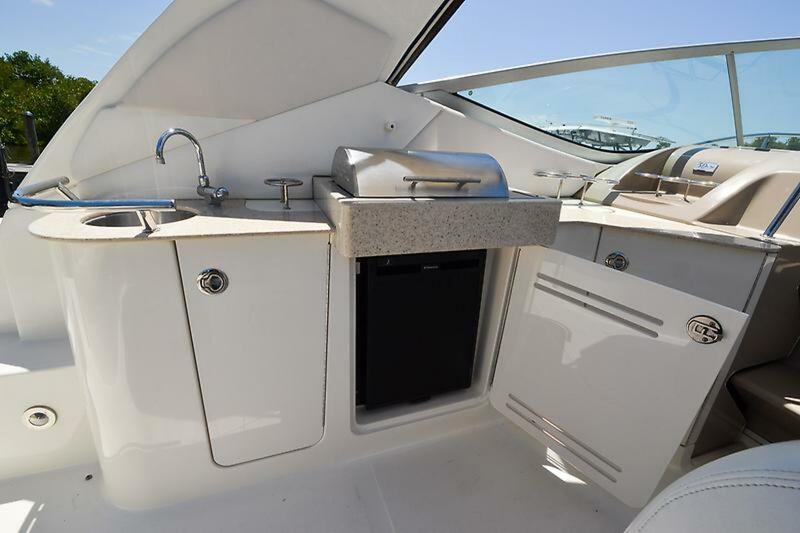 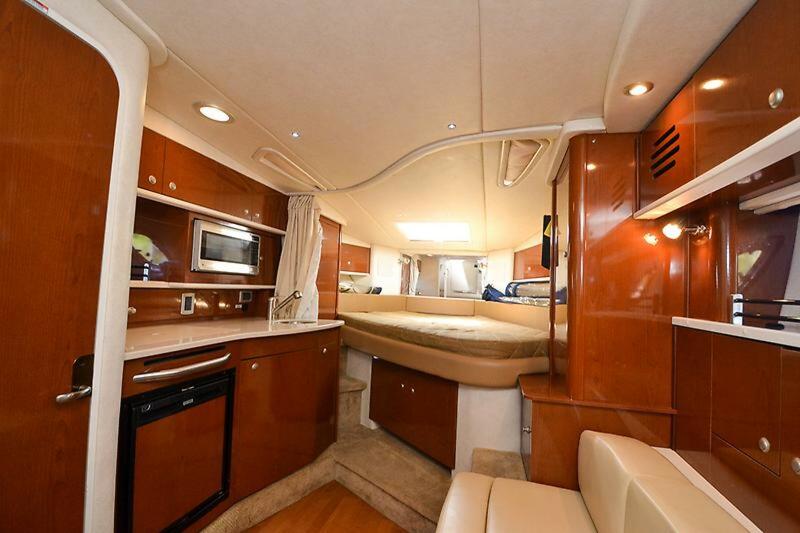 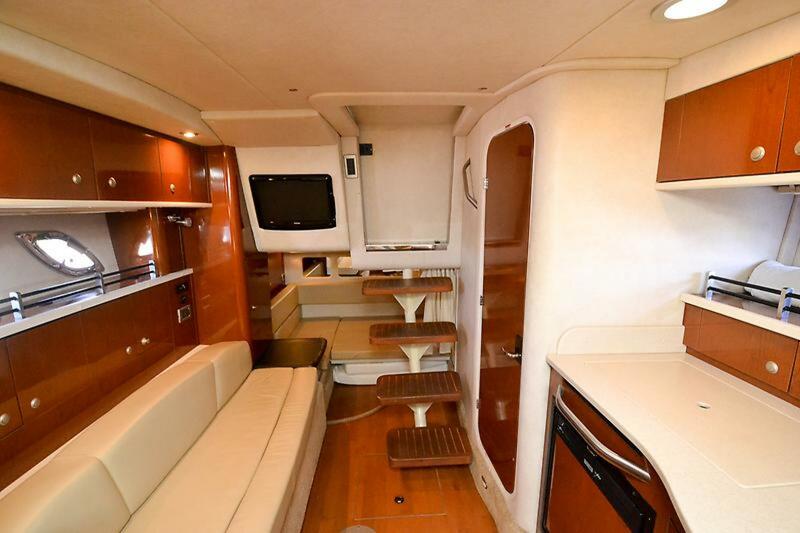 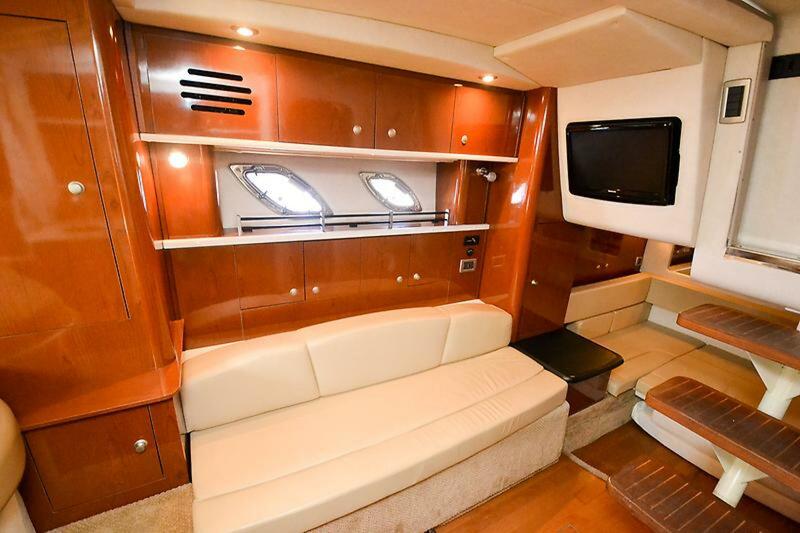 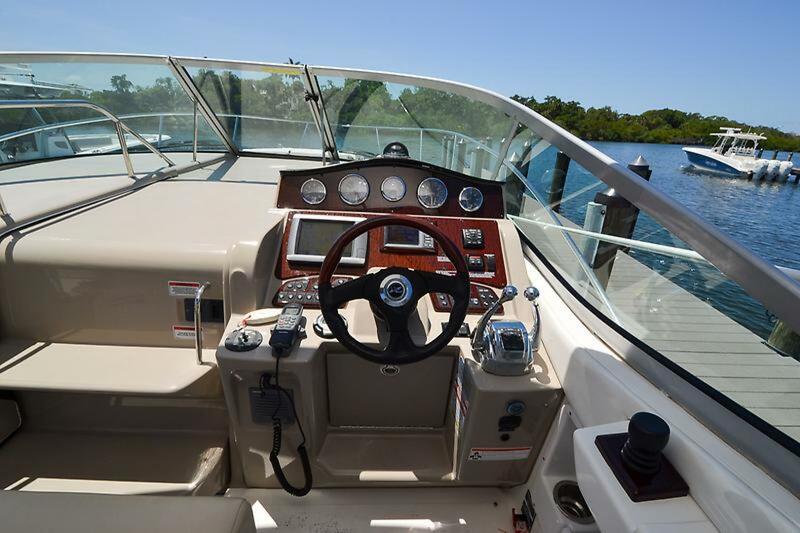 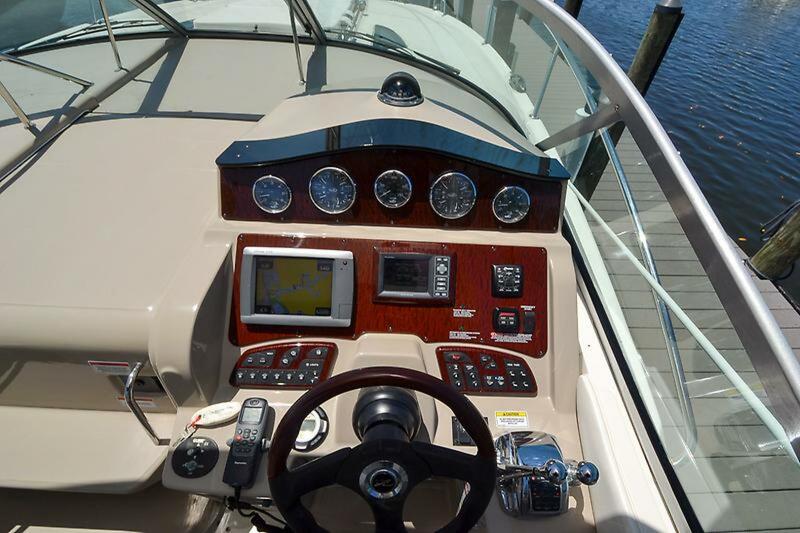 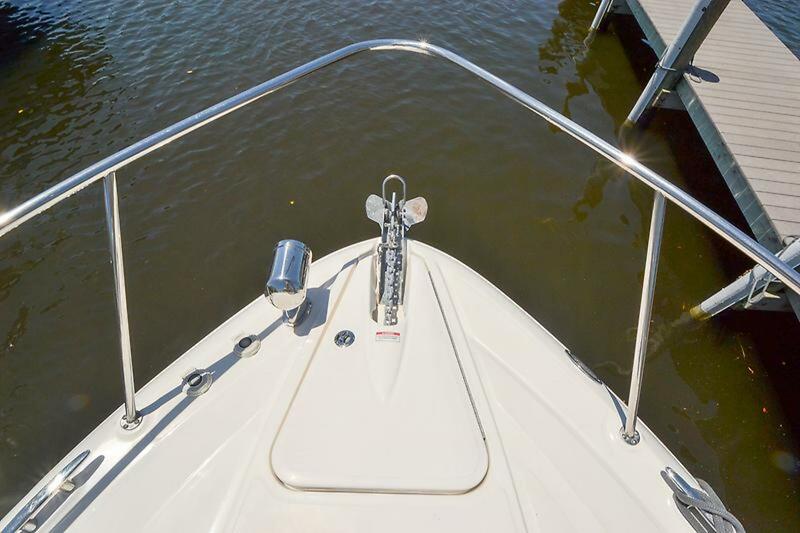 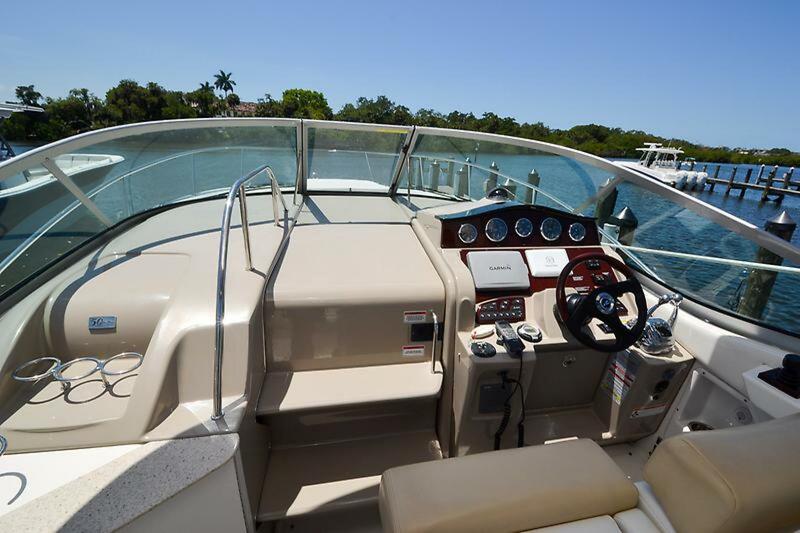 Her spacious cockpit features wraparound lounge seating aft, an large wet bar with optional grill and refrigerator. 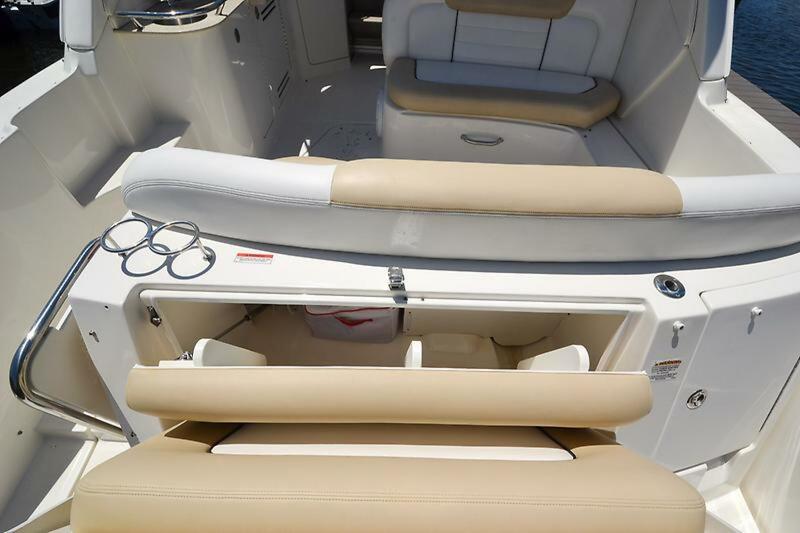 A slick foldaway transom seat great viewing area off the swim platform when the kids are playing on the beach. 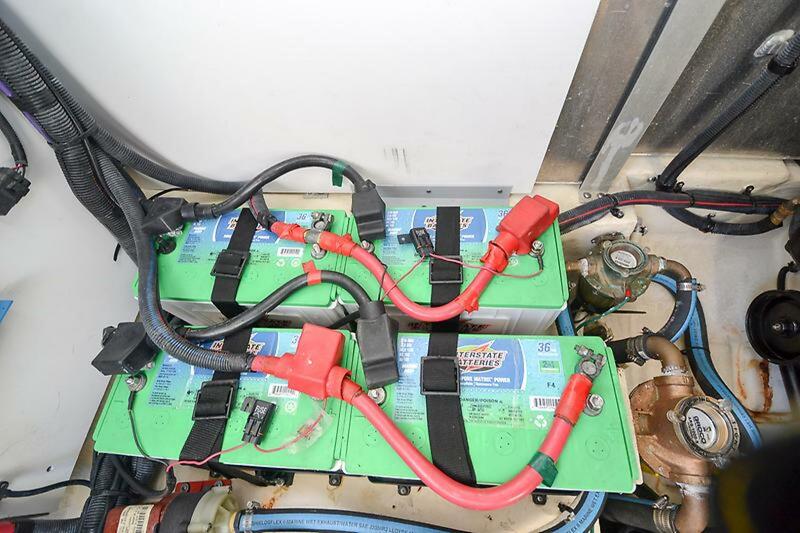 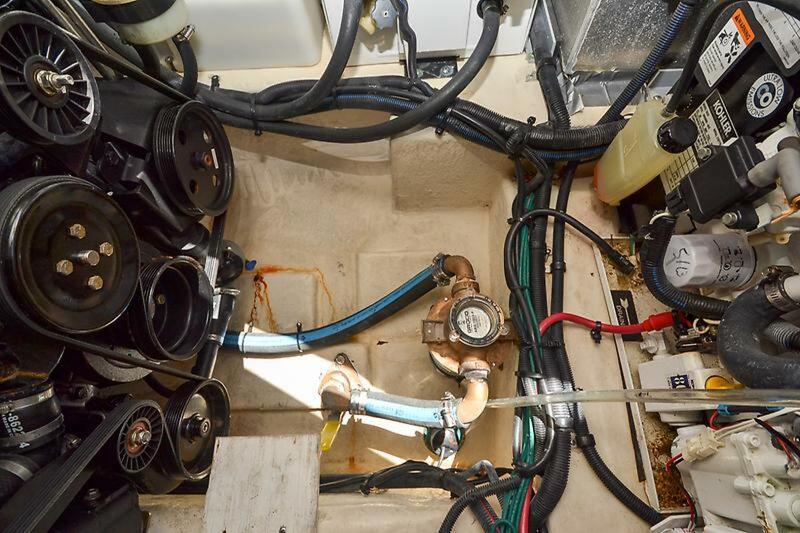 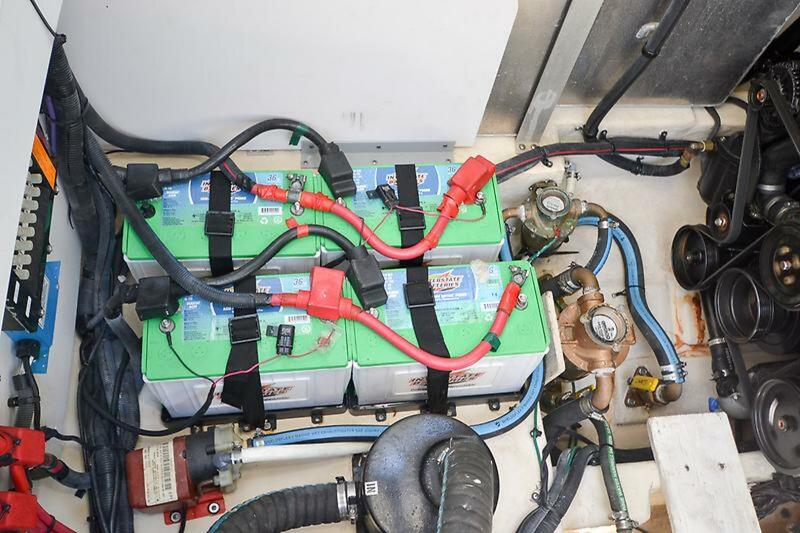 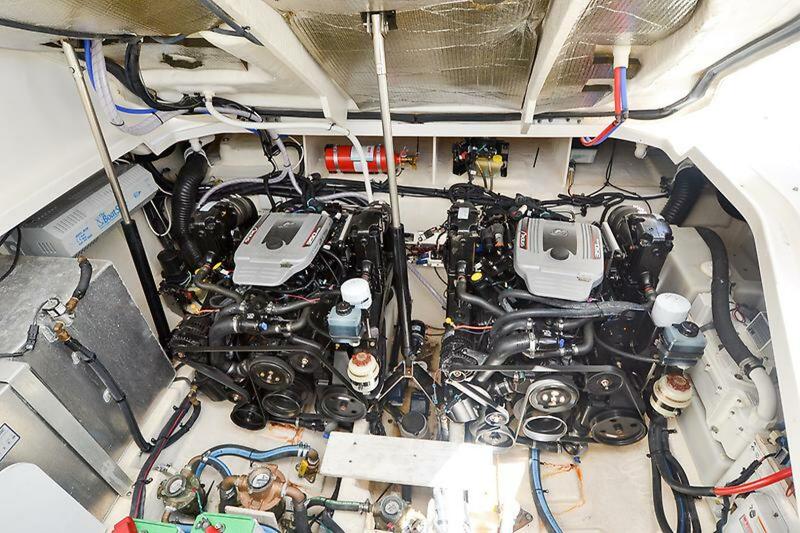 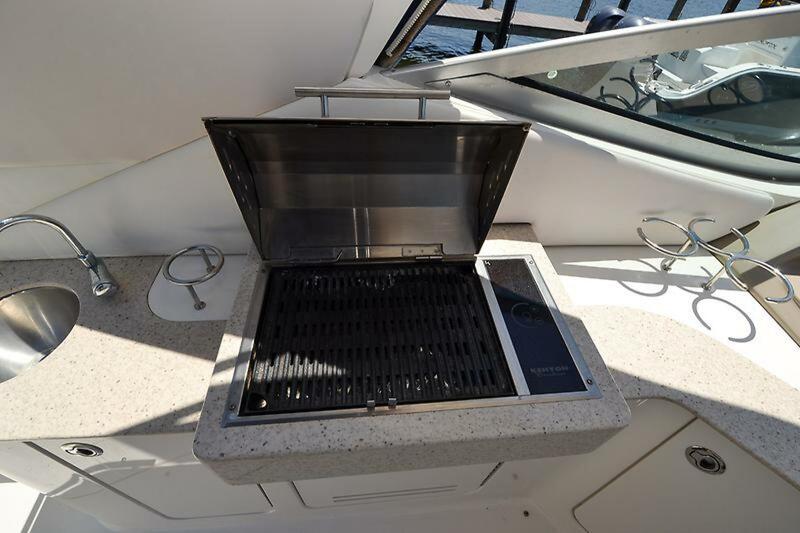 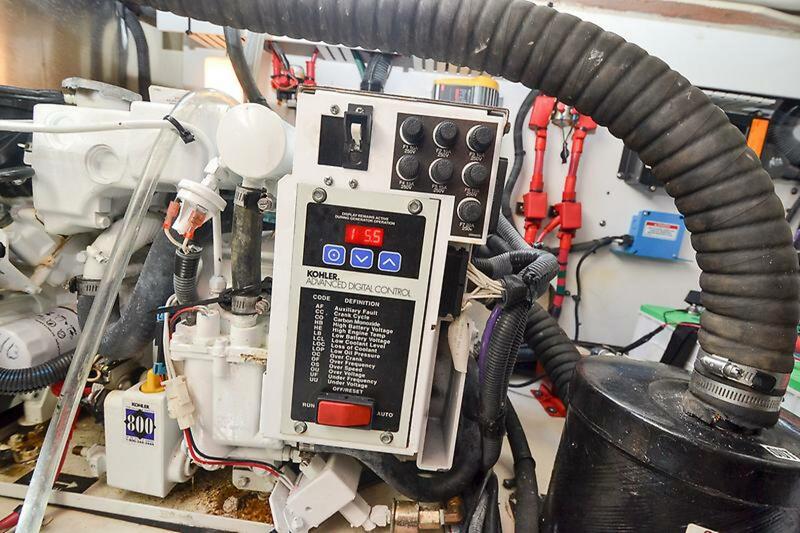 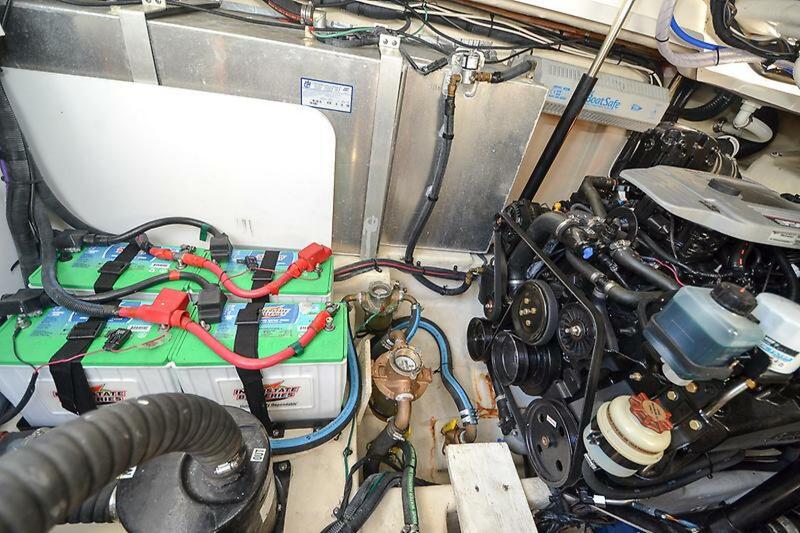 A power engine hatch provides easy access to the engine room. 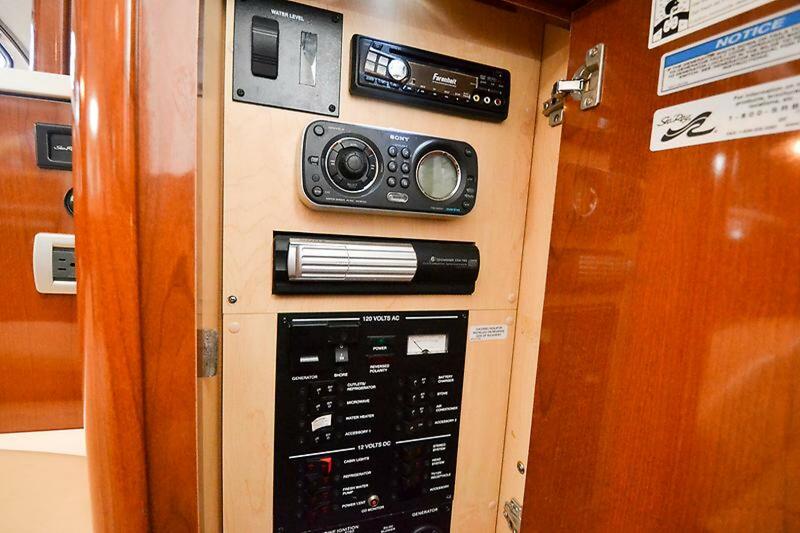 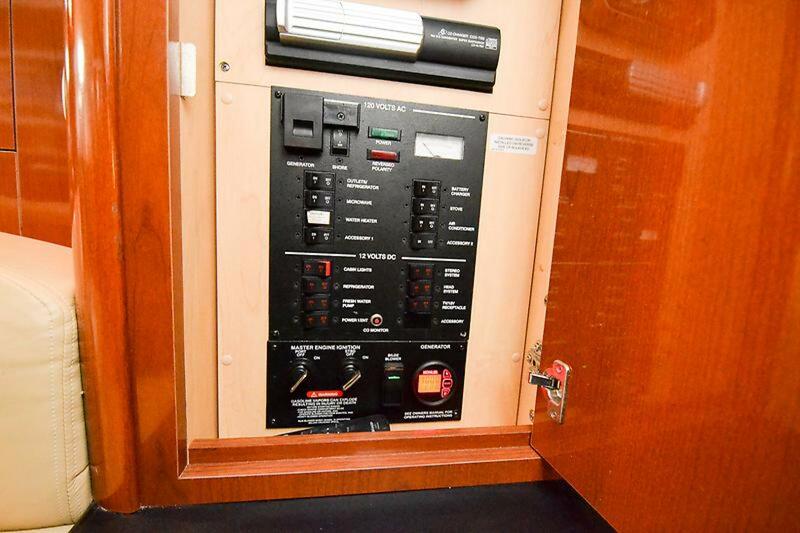 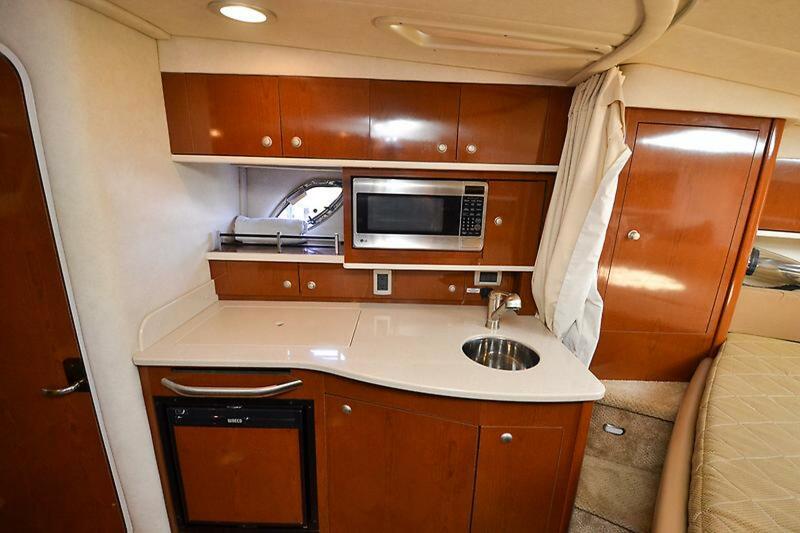 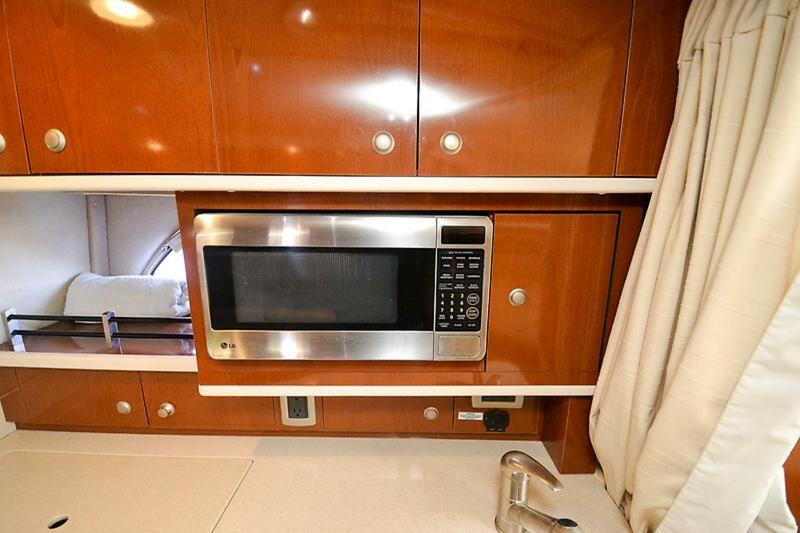 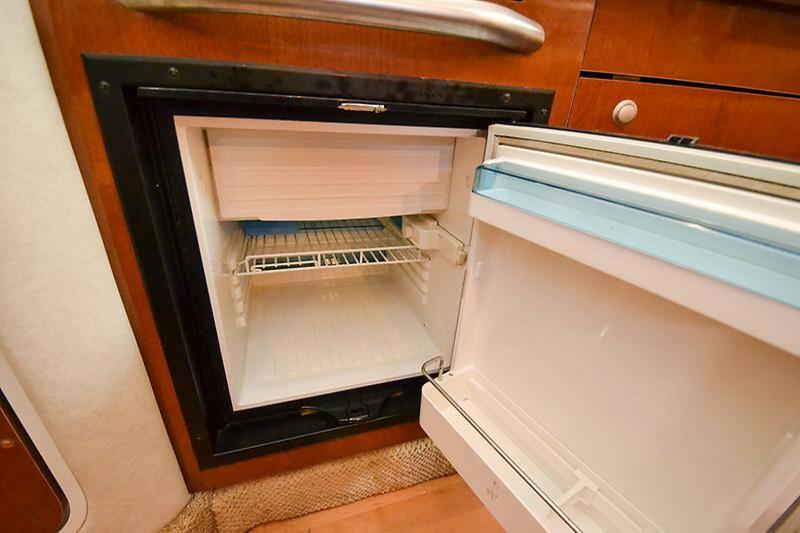 Below decks, her midcabin accommodations are a compelling blend of cherrywood cabinets, wood flooring, Ultraleather seating, and designer galley appliances. 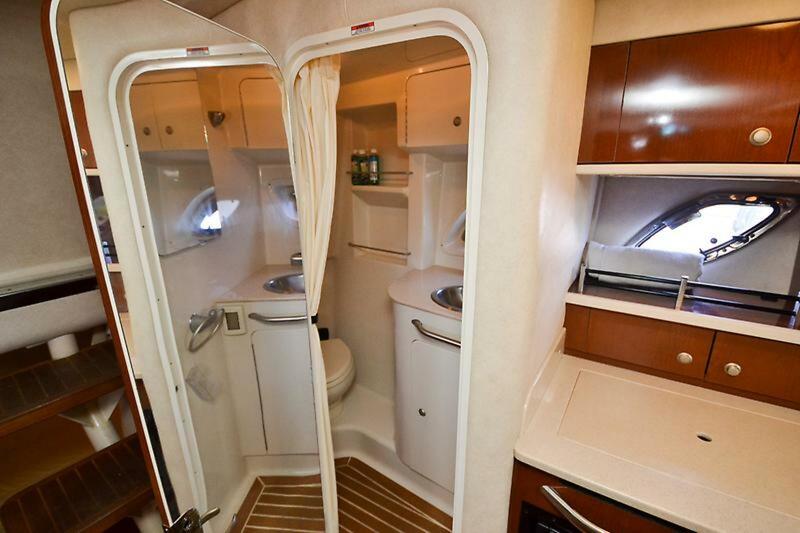 Privacy curtains separate the sleeping areas from the main salon, and a flat-screen TV can be viewed from anywhere in the cabin. 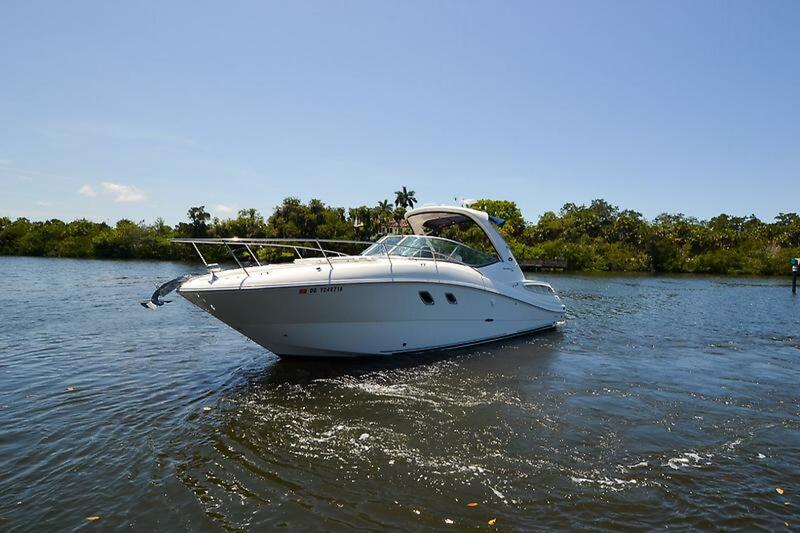 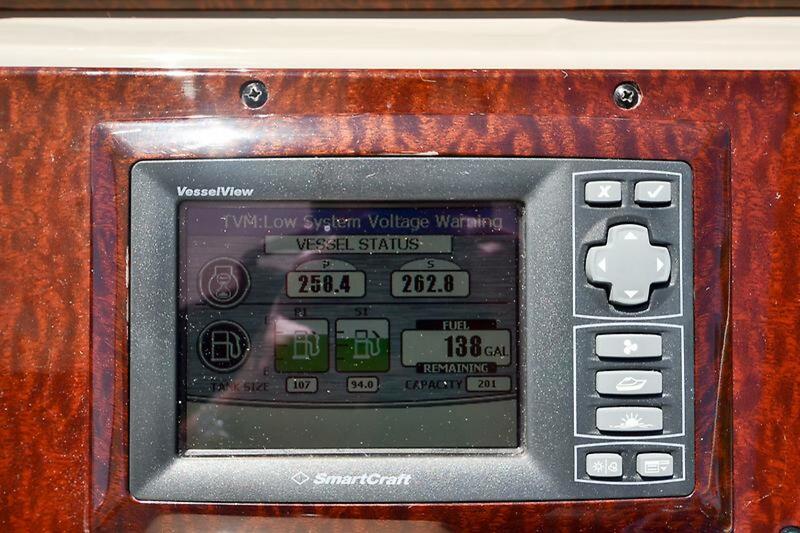 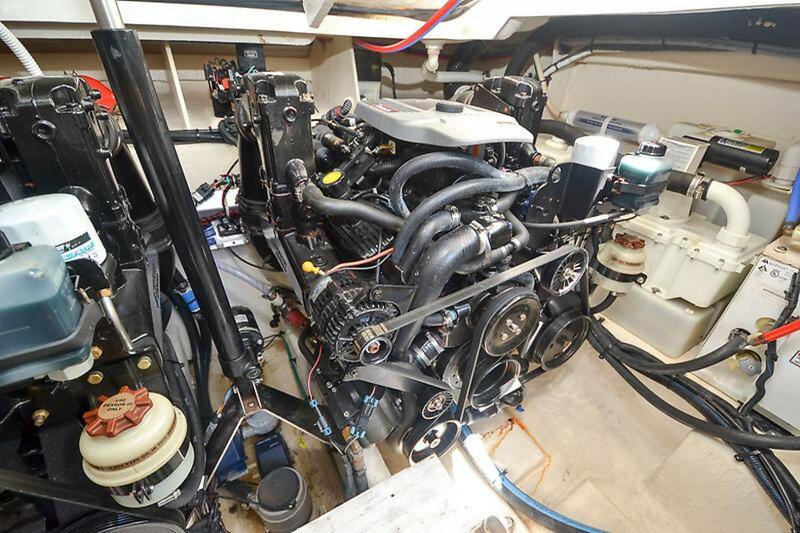 Twin MerCruiser 5.7L 350MAG 300hp Axius BRAVO III (gas) cruise at 27 knots with a top-end of 36 knots.